Conference registration(s) included in Global and Local Level Exhibitor registration. Conference registration for student scholarship recipients. Registration for workshops only. Conference registration NOT included. 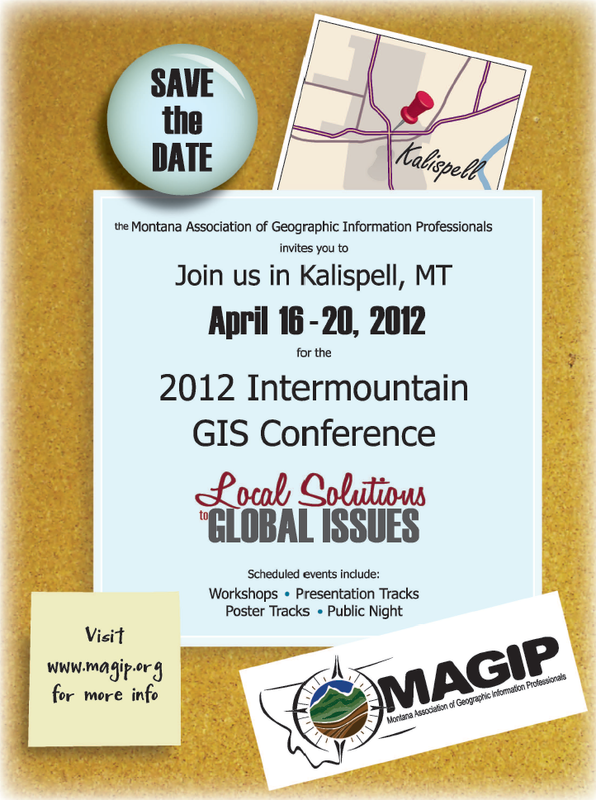 MAGIP and the Conference Committee would like to invite your participation in the 2012 Intermountain GIS Conference "Local Solutions to Global Issues". The participants and attendees will make the conference a success - sharing knowledge and experience. The 2012 Conference will be held in Kalispell, Montana at the Red Lion Hotel. For more information about lodging, agendas, and more check out the 2012 Conference Web Page! We are adding information often, so keep checking back.